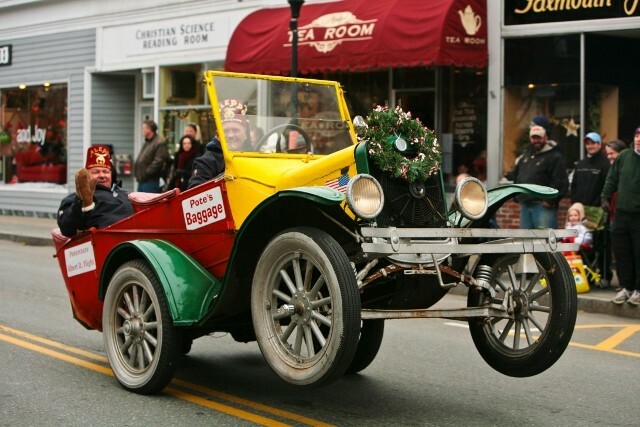 Holidays by the Sea is once again promising to be a fun filled weekend in Falmouth Village. The festivities officially being on Friday December 5th at 5:30 with a carol sing at the iconic Nobska Lighthouse. Hot chocolate and cookies will be on hand to fuel you for participating in the festive seasonal sing along. At a very reasonable 9:30 am on Saturday December 6th you can join in on the 3rd annual Jingle Jog 5K sponsored by Dunkin Donuts and Anytime Fitness. Festive outfits are actually encouraged for the race and our very own son-in-law donned a Santa outfit a couple of years ago. The Elf Run for participants 12 and under starts at 9:30 and the Jingle Jog for those 13 and over starts at 9:45. 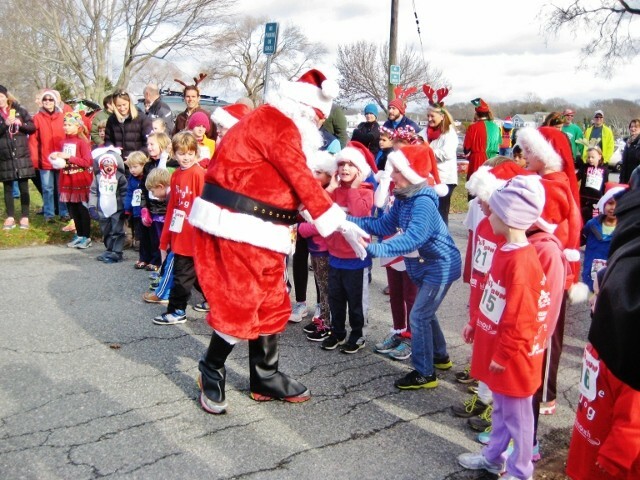 After joining in the race or just cheering on the runners you can head over to Marine Park at Falmouth Harbor to welcome Seafaring Santa! 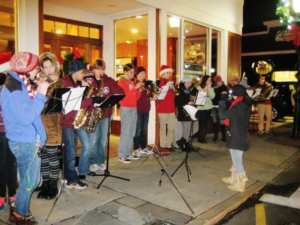 The Falmouth High School Chorus will be on hand singing Christmas carols. All are invited to join in the activities of the annual children’s bike raffle, hot chocolate & treats courtesy of Dunkin’ Donuts. Also on the 6th at noon there is a public viewing of the Nobska Lighthouse which is sponsored by the Coast Guard Auxiliary and goes unti 2 pm. As a little incentive we share that Santa visits at 12:30 pm! After a little afternoon rest get ready for the Holiday Stroll along Main Street and Queens Buyway. Hop on the trolley to the Falmouth Historical Society for a visit with Santa until 6:30. There will be face painting by Mrs. Claus, along with hot chocolate and cookies. The Falmouth Historical Society will also have additional craft activities for the kids. Take the trolley to the Queen’s Buyway, and visit the Petting Zoo! (In the courtyard behind Cape Chic and Pink Polka Dot from 5-6:30) Enjoy live music by the Donnie Cross Trio at Headlines on Main Street. The movie Frozen will also be streaming throughout the evening at Peg Noonan Park. Also keep a look out for Elsa and Anna! 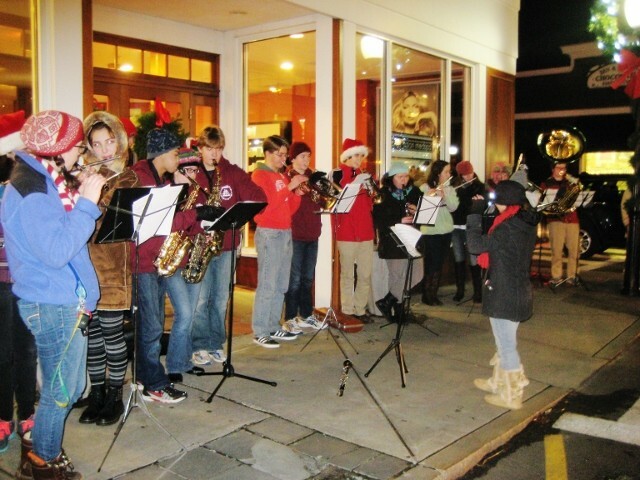 The Very Merry Dickens Carolers and the Falmouth High School Band will perform along Main Street. Ride the Trolley down Main Street while the Falmouth High School A Capella Group sings Holiday songs! Just look for the trolley stop signs. Snacks and refreshments can be found at your favorite local shops! Information cards will be available at most Main Street Shops. The official festivities conclude on Sunday December 7th with the 51st annual parade. 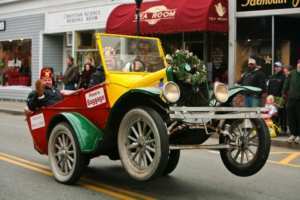 The Parade starts at noontime at the Falmouth Mall and proceeds down Main Street to the Village Green. Our parade is Southeastern Massachusetts’ largest holiday parade with theme decorated floats, marching bands, live animals, costumed characters and Santa Claus!